Even more perplexing was the description of these elements as functioning in 2 different cycles, a constructive cycle (生 or shēng) and a destructive cylce (克/剋 or kè). 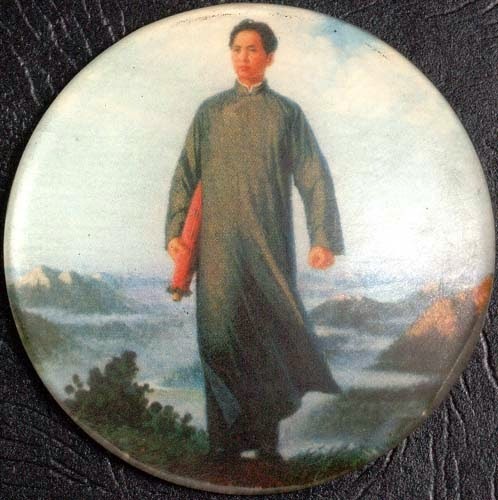 If you examine any "circular" 2 person form such as an shen pao in xingyi or the 16 count jo drill or many arnis drills for example, you'll note that the form is capable of single and 2 person practise. With a 2 person performance, both sides do the same form; it's just that one side starts in the middle of the sequence. I believe that the 5 element theory is actually partly descriptive of this; a series of 5 "elements" each comprising a defence and a counter. The "constructive cycle" can be seen as the sequence of the single person performance while the "destructive cycle" can be seen as the sequence followed in the 2 person form (what you do, what I do, what you do, what I do - etc.). Note however that the arrows in the destructive cycle are reversed. 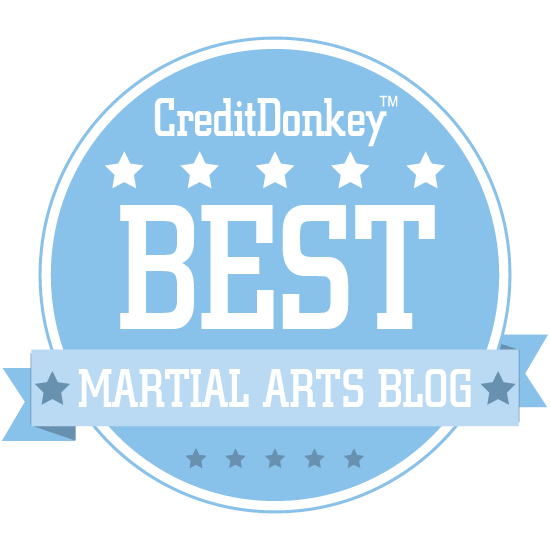 This corresponds with any arnis drills that comprise 3 "defend/attack elements" (the simplest example). It can be depicted in the following way using the same xingyi "element" diagram (note that there are only 3 points to the "star"). Ditto with the "13 count" jo form (which has 7 points to its star) - note the video below. I have used this analysis and gone back to xingyi's 5 elements - with surprising results; you guessed it, a very effective 2 person fighting drill that logically drops into place just by going through the elements (and yet very different from the 2 person 5 element forms you see around - including the effective Wang Shujin version demonstrated below by my friend James Sumarac and senior martial arts teacher Andy Chung - which do not follow the strict order of the elements in the destructive cycle). When I get the chance I'll make a video of my 2 person xingyi form and post it up! 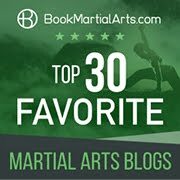 I must thank Jim Prouty whose post on the Traditonal Fighting Arts Forum I used at the indicated places in this blog entry, and acknowledge Wikipedia for some of the source material. Enjoyed your article tremendously, especially your video that reminded me of things "I didn't know I knew." Thanks again Jorge. You are always so kind! I have been so busy setting up the forum but at last I'm able to take a breather. I shall enjoy catching up with your blog in the next few days! You might want to take a look at The first image in this post. I'm pretty sure the ideograms for earth and metal are reversed. Certainly in Japanese 金is metal and 土is earth and I'm pretty sure Chinese follows the same pattern. 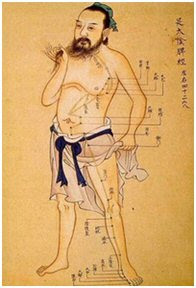 Many xing yi schools teach the 5 elements in 2 person application known as wu xing jiaoshao (lit. 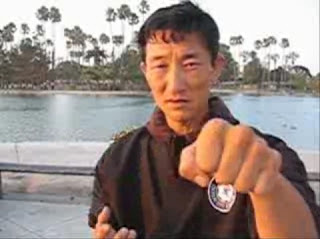 five elements fighting) some schools call this push hands though in reality there are no pushes in there. its not really fighting either but a training exercise, each person learns how to attack on good lines, use position and structure to defend and to move in harmony with the other person. It's common to see the destructive cycle in xing yi texts as a 2 person drill and this is the basic pattern my school uses. However you can also change the sequence to any you want, so the destructive "rock scissors stone" type mentality is not embedded in the student, i.e. Pi can beat all the other elements if done right, but so can any of the others. 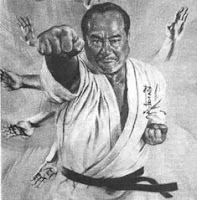 At a certain point the students will be able enough to do Free wu xing jiaoshao (free 5 elements fighting) again is not fighting but the same exercise done without a set sequence usually the students start extremely slowly adn speed up gradually. I can see you've put some real thoguht into this I hope my comments also give you somethings to think on. Indeed Background Reader - in Chen Pan-Ling's xingyi the order of beng and zhuan are reversed. I am not convinced that one element always beats another - merely that the way they are arranged was actually intended to correspond with a 2 person drill in exactly that format. The 2 person drills one sees do not actually follow that format; they require modification (2 or 3 pi quan in a row, for example, or added beng quan etc.). I have an idea of exactly how the 5 elements fit together in their standard order to produce a 2 person form - without any modification to the technique. I have yet to see anyone do this (I'd love to see an example if you have one - so that I can compare it to my own concept!). Clearly one can repackage the elements in any order to produce 2 person sets, but they would always require some form of modification/repetition etc. But that is not the point of my observation about the way traditional "code" of the 5 element arrangement. Rather I am saying that the 5 elements were deliberately arranged that way because they were designed as a 2 person set exactly as they are. I'll be filming my concept in the coming weeks (with any luck). Thanks for reading and for your comments. A and B face each other in left foot forward san ti with wrists touching. A does a straight forward beng to B's abdomen. B puts his left foot to back, taking an angle to the side of A's beng, sits on his left leg then B moves forward and does a standard Pi to A's head. B steps his right foot (front) into the back and sits on it making the pao pass by. 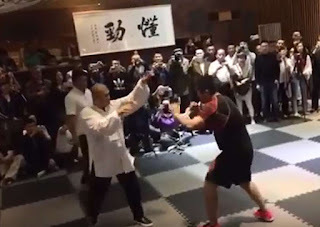 B's right arm goes over the top of A's right hand pao and can tseh/flank or pull on this arm as B executes a forward step and tsuan with left hand. Note tsuan is a straight strike palm down until impact when it twists sharply. 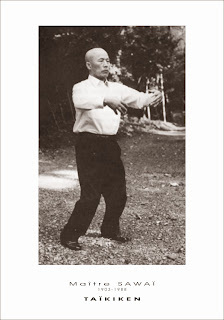 A rolls his right arm under B's tsuan and steps his left foot into the rear. 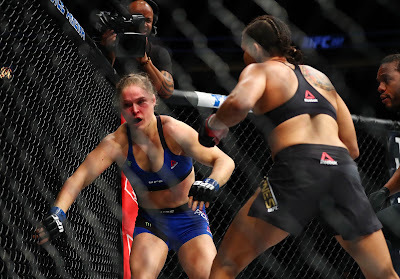 The right hand can hammer the arm or head or just used to tseh/flank. 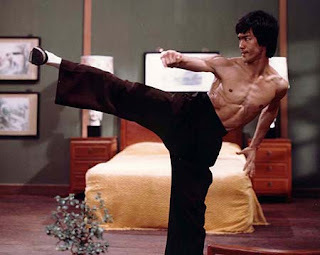 A steps forward onto his right leg and strikes with a low heng to the floating rib of B. B steps their right foot (rear) away from A's heng and drops their left arm to tseh/flank the heng. As they use tseh they make a forward step and beng to A's abdomen. A steps their left foot (rear) sideways to avoid the beng and sits back onto the left leg. The left arm comes around and uses tseh/flanking to touch B's beng and know where the arm is and A executes a forward step into Pi with their right hand. The roles are now reversed and you can continue this basic pattern indefinately. The movements follow the destructive 5 elements cycle. Beng destroyed by Pi destroyed by Pao destroyed by Tsuan etc. A film would be better. I think any number could be turned into a two person set. We used to do a "ten element" set which my teacher made up and it incorporated a few of the more general animal movements too. I'd love to see it videoed! Any chance you'll get around to it?